My wife and I were deeply touched and genuinely honored by the tribute paid to us by the leadership of the Margolin Hebrew Academy at their annual Scholarship Banquet last week. I was asked to share some words of farewell after the presentation and I began by noting that of all of the wonderful things we accomplished together over the last seven years, what makes me most proud is the way in which our school blossomed into a community of learners. No longer was learning relegated only to students, but through assorted avenues students, teachers, administrators, and parents all became active participants in the learning process. At our moments of greatest success, everyone was striving to be better, everyone was reaching just a bit higher than they had ever reached before. Therefore, I thought it was appropriate to share with the Banquet attendees just a few of the many things I learned over the course of seven growth-filled years leading the Margolin Hebrew Academy / Feinstone Yeshiva of the South. I learned very early on that “get with” means “to meet with,” that "fixin'" means "about to," that “to make a grade” refers to the score you receive on a test, and that no one from the North should ever attempt to use “y’all” in a sentence. I learned that it's impolite to put serving dishes on the table, but perfectly acceptable to get up and leave the table in order to refill your plate. I learned the meaning of community and the depth of pain and joy that comes with a group of people who really care. I learned what it means to give sacrificially and that the greatest giving often involves no money at all. I learned that writing a Purim parody of my newsletter column in which I get fired for refusing to show up to a meeting, and then signing the Board President’s name to it (with his permission, of course), was not my brightest idea. I learned that Early Childhood education is not only “real” education, but it’s the kind of education all educators ought to emulate. I learned that high school students are capable of utterly extraordinary feats when empowered and entrusted to do so (and that involving steak doesn't hurt either). I learned that an admin team comprised of the right people can overcome even the most difficult of challenges. I learned that "barbecue" doesn’t mean putting some hot dogs and hamburgers on a gas grill in the backyard. I learned to panic when the weatherman says there’s a threat of flurries and to stay calm in the face of expected tornadoes. I learned that I need to smile more and that I have to spend more time telling the people around me what a great job I think they're doing. I learned that the smile on a child's face when he or she comes to school in the morning is enough to brighten even the darkest day. I learned that to take on the presidency of our beloved school one truly has to be out of their mind; and how lucky I am that three such lunatics are now my friends for life. 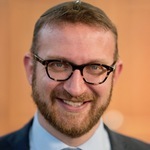 I learned the lengths to which the Memphis community has gone to sustain Jewish education and the degree to which Jewish education has sustained the Memphis community. I learned that seven and a half years ago, when Melissa and I decided to visit Memphis just to get a guy named David Cooper to stop calling us, we made the best decision of our lives. Thank you, Memphis. Chizku ve-imtzu!